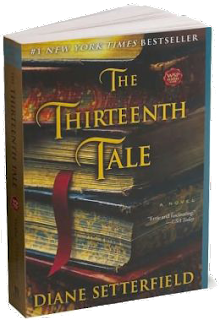 The Thirteenth Tale is this month's book club book. Have you read it? Do you have reviews? Thoughts? It's such a new thing reading books that I don't pick myself. It takes me back to school. I never knew I would feel the loss of control so deeply. One of my favorite books... so good! This is a good pick for a book club. 1. Love the book image. 3. Love that you are doing the book club thing. 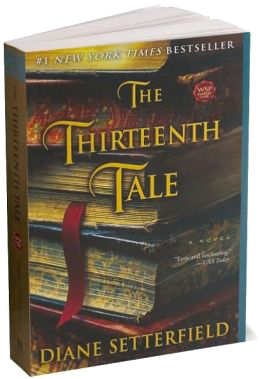 You will find new books you never thought you would ever read. LOL and I have heard the book is good but no particulars. OMG that is why I haven't been able to join our local bookclub. I can't seem to allow someone else the control. I do love Christian Fiction, so I'm thinking of starting a CF club. That should be a genre I can relinquish control. I haven't read this despite my interest. I tried it once and it felt to heavy at the time. I'm such a moody reader. Loooooved it! It got a little melodramatic at the end, but totally worth it. Thanks for signing up for the Dewey Readathon! See you next Saturday. Have you been on your trip to Paris Yet. don't forget to post those wonderful pics.